Here's a view of first light coming in from behind some of the past summer's flowers. 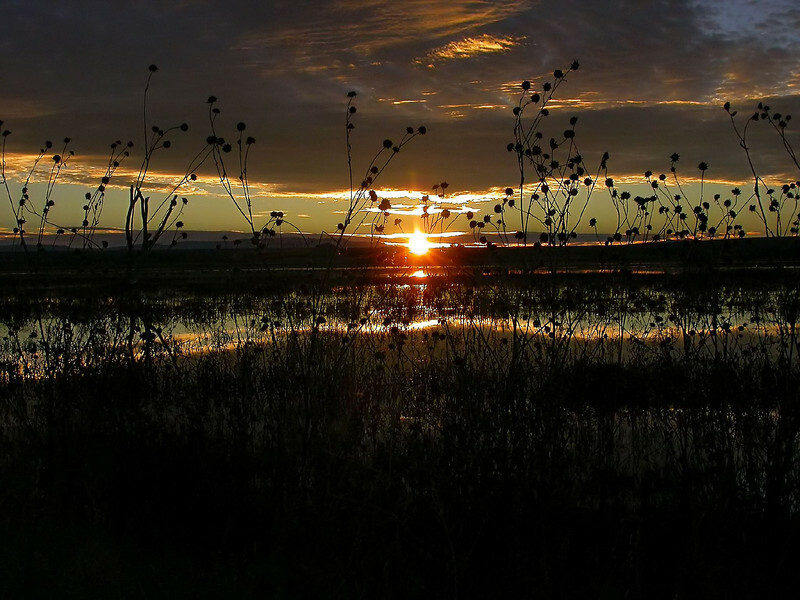 This was taken at Bosque del Apache NWR in New Mexico. Best viewed large!